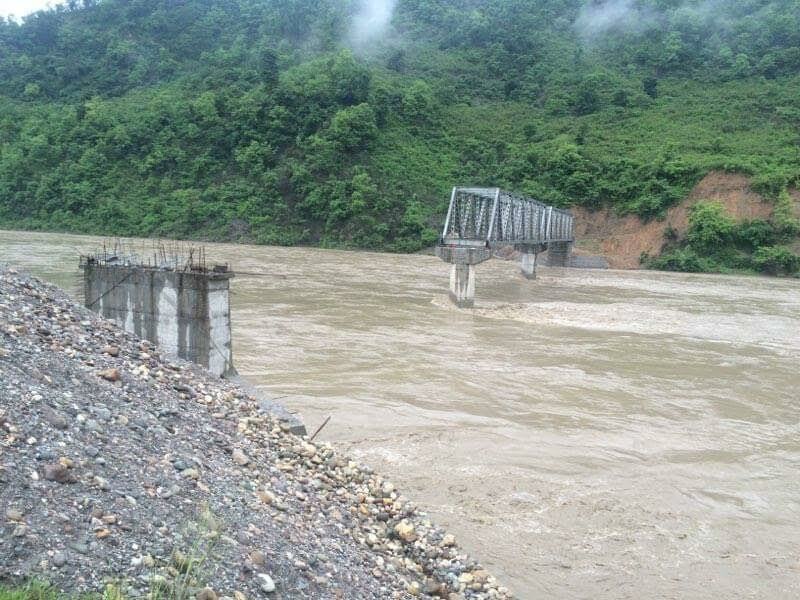 Mistang –The swollen Kaligandaki River has taken away a bridge linking Kagbeni and Tiri. The flood triggered by incessant rain blew away the wooden bridge over the river at Baragung Muktichhetra rural municipality-4, Tirimindi on Monday. Muktichhetra rural municipality chair Fenchowk Chhepten Gurung shared that the bridge was constructed two years ago at the cost of Rs 1.3 million. With the removal of bridge, as many as 15 households of Tiri are in trouble. It has also affected the tourists coming to different trekking routes of Mustang.